How can adding sliding doors to your home improve your health? 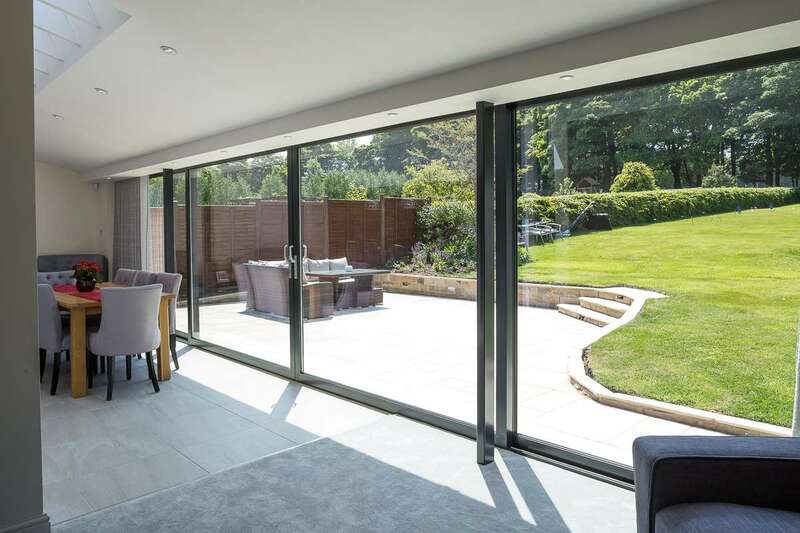 Here at Clear View, we specialise in the installation of sliding aluminium doors – these types of doors come with benefits too numerous to count. While it may not be the first thing that springs to mind, sliding aluminium doors are actually hugely beneficial to one’s health and wellbeing. We’ve all heard about how we need to expose ourselves to more natural light. Sliding doors, by design, allow the maximum amount of light to radiate throughout your Yorkshire home, but what actually is it about natural light that makes it so beneficial to us? First and most importantly, natural light contains the all-important compound of vitamin D. This vitamin has a myriad of benefits that are essential for a number of health reasons. Most significantly, vitamin D is vital to the health of bones and teeth as it helps to regulate calcium and phosphate in the body. Unfortunately, many of us are cooped up indoors for much of our days and the sunlight we get is often not enough. Sliding doors are perfect to remedy this as, whether at home or in the office, they allow plenty of sunlight in. As well as health benefits, the flow of natural sunlight in your place of work can easily lead to an increase in productivity. Combine this with the fact that sliding doors can save you money by reducing electricity bills as well as the fact that they are attractive showpieces and it’s a winning recipe. At Clear View, we specialise in the design, manufacturing and installation of bespoke aluminium doors and windows both for commercial and domestic properties. We’ve been providing residents across Yorkshire with high quality services for over ten years now and – if you’d like to find out about any of these services, please don’t hesitate to call us on 0800 1357167.